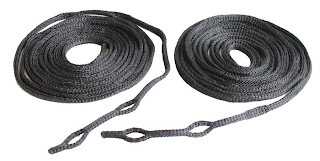 The Hammock Suspension Kit is available separately and allows for rapid rigging of hammocks. 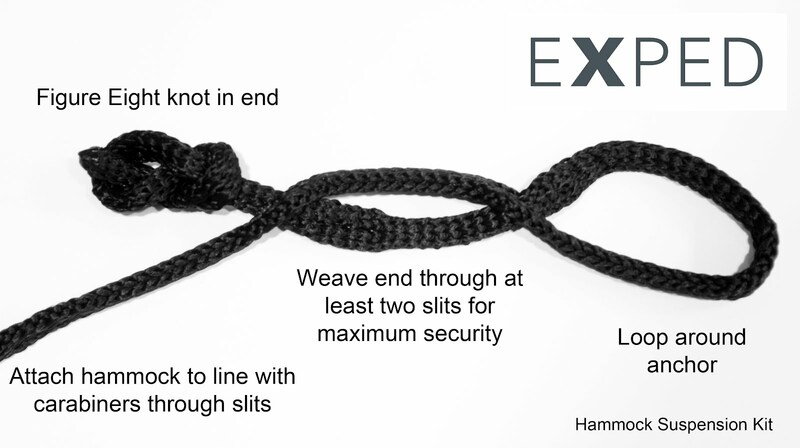 The slots along the full length of the cord make it especially easy to adjust the length of the lines for centering of the hammock and only a figure eight not is necessary at the end (see top image). The Exped Ergo Hammock Combi comes standard with these cords and the above video shows the use of the suspension kit with that hammock. Average Weight (2 cords): 200 g/7 oz.